BITSAT is an entrance exam conducted by BITS Pilani for admission in BITS Pilani, BITS Goa, BITS Hyderabad and BITS Dubai. BITSAT is one of the most sought after entrance exam after JEE among many students. 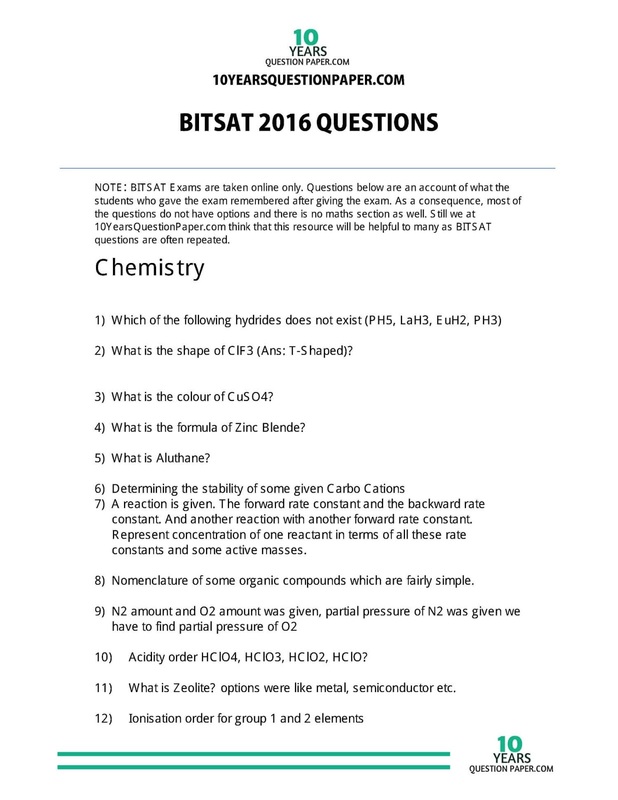 The questions asked in BITSAT are fairly simple but require quick thinking and solving. Time is a crucial factor in BITSAT entrance exam. 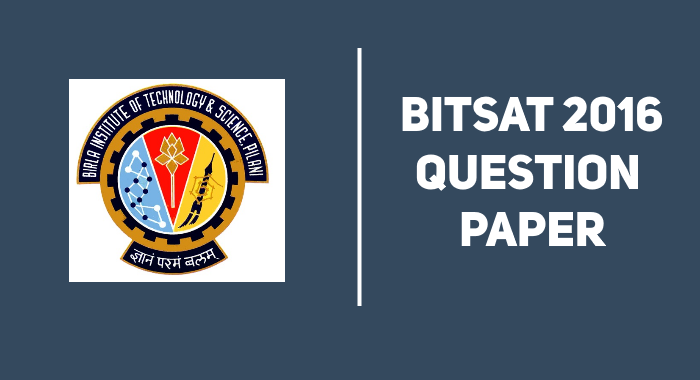 Here we provide BITSAT 2016 Question Paper. The paper is not yet solved but just has questions as of now. 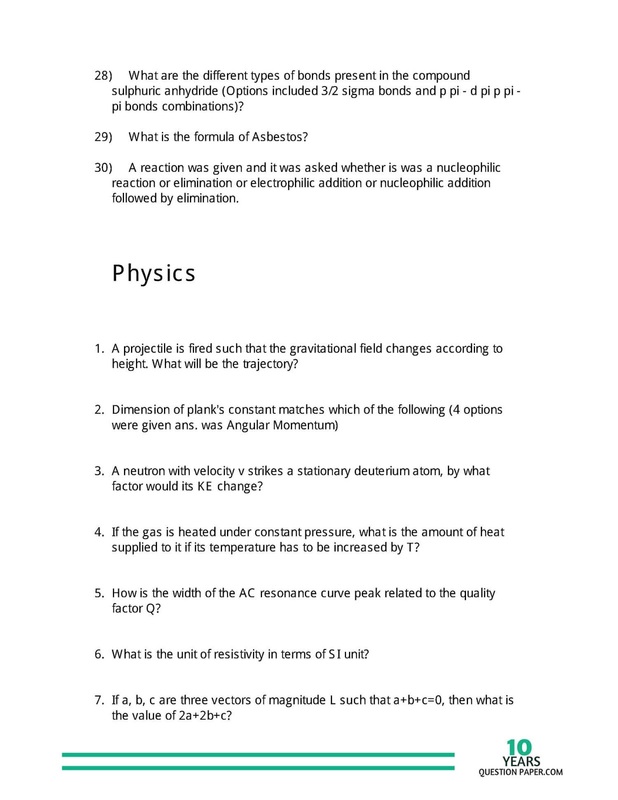 We would be adding questions in this paper so keep checking this page regularly after some interval. 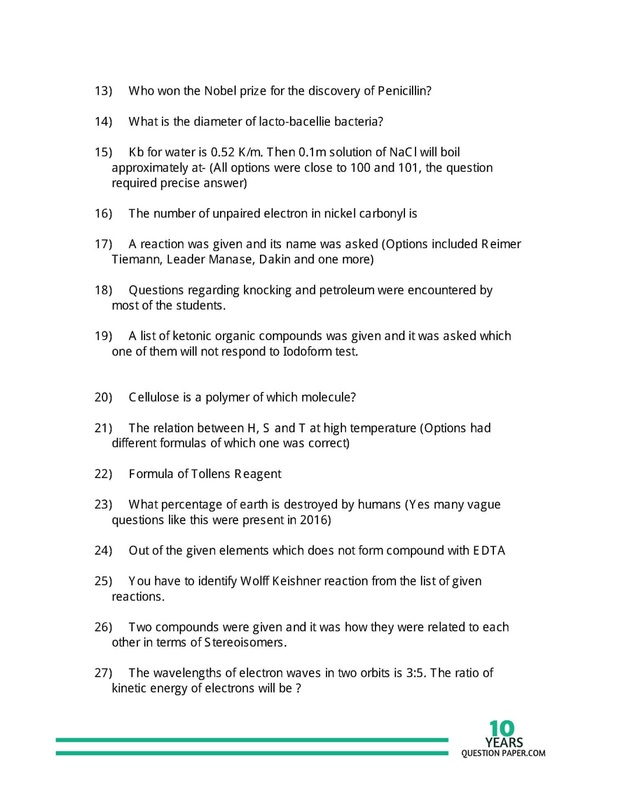 Since BITSAT questions are fairly repeated (as they are randomly selected from the same database) a good look on these questions can be of great help to the students. NOTE: BITSAT Exams are taken online only. 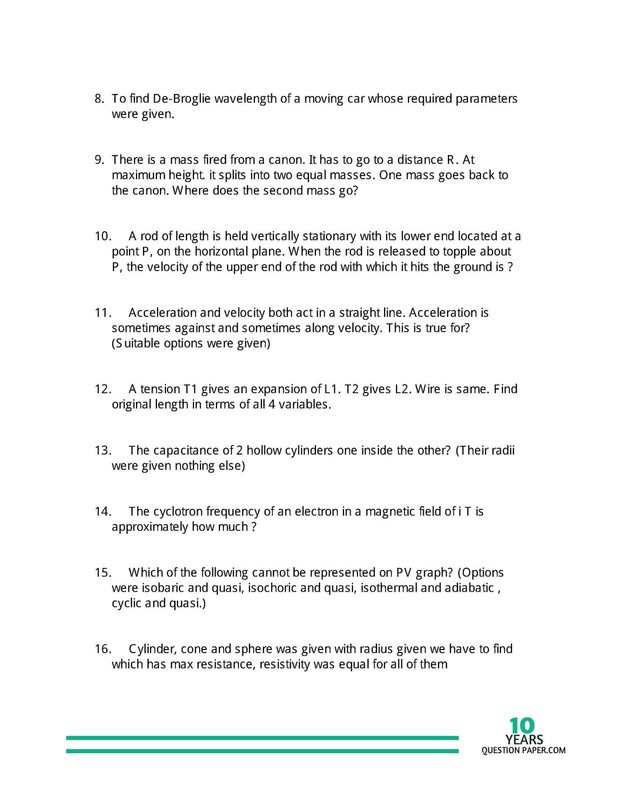 Questions below are an account of what the students who gave the exam remembered after giving the exam. 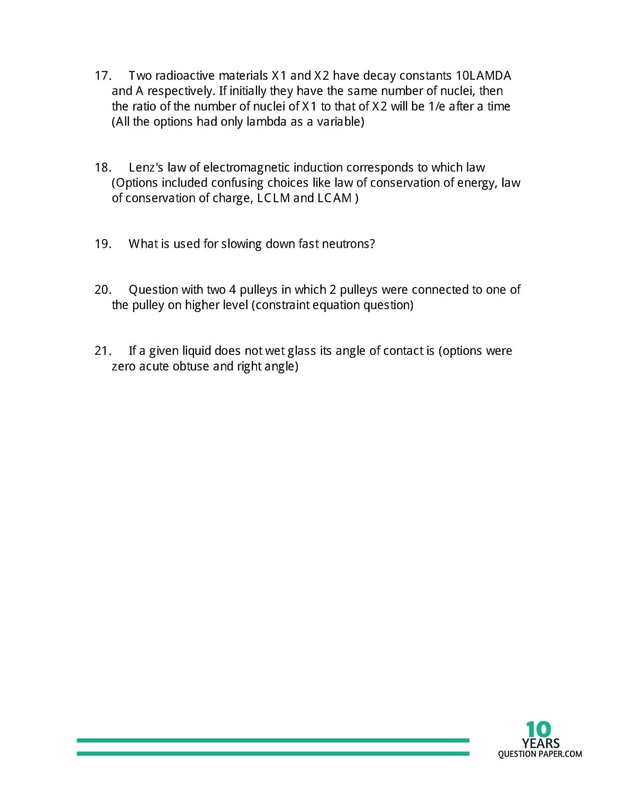 As a consequence, most of the questions do not have options and there is no maths section as well. Still we at 10YearsQuestionPaper.com think that this resource will be helpful to many as BITSAT questions are often repeated.